Egypt Travel Representative will pick you up from Safaga Port by the cruise exit door. Then you will be transferred to Luxor by an accessible private air-conditioned modern van adapted for wheelchair travelers. it takes 03 hours to arrive Luxor. Then proceed to the famous Karnak Temples; the largest place of worship ever built and the greatest example of worship in history. It was constructed from the beginning of the Middle Kingdom to the Greco Roman Kingdom. Within the complex, the great "Hypostyle Hall" is an incredible forest of giant pillars. Lunch at local restaurant and then you will move into the West Bank of the River Nile to visit the two colossal statues of Amenhotep III (Colossi of Memnon), and then visit the Valley of the Kings, where the magnificent tombs of the ancient kings were discovered, those tombs were curved deep into the desert rock, richly decorated and filled with treasures for the afterlife of the pharaohs. 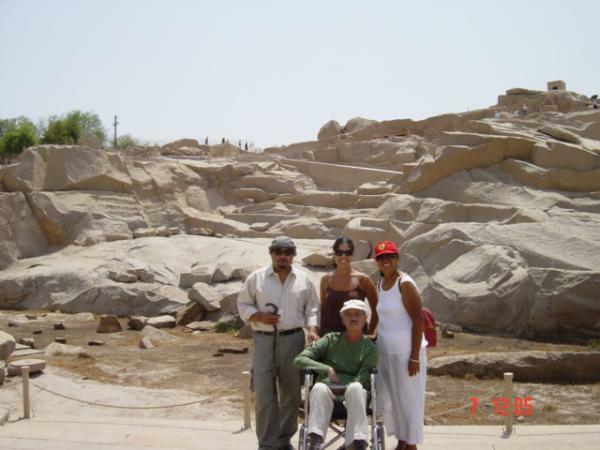 Continue the tour to visit the Hatshepsut Temple at El Deir El Bahary, this impressive temple dedicated to the Queen Hatshepsut, the only female pharaoh rises out of the desert plain in a series of terraces and merges with the sheer limestone cliffs that surround it. Before 6 O'clock in the evening, you will be escorted by your guide back to the cruise at port of Safaga Port ( 220km ).